The Russian Internet-related tech company Yandex has announced its foray into the world of smartphones with the aptly named Yandex.Phone. The 5.65-inch device will sport a Qualcomm Snapdragon 630 SoC and features Yandex’s proprietary intelligent assistant, Alice. The smartphone will be released on December 6 at a store in the company’s headquarters in Moscow, and it will be priced at 17,990 rubles (~US$270). Google isn’t the only massively popular search engine giant that can release its own smartphones. It seems Yandex now wants to follow suit with its Yandex.Phone device. Although it might not actually challenge the former’s Pixel 3 in any meaningful way, the Yandex.Phone will no doubt find plenty of buyers in its local market. The Yandex.Phone is powered by a Snapdragon 630 and features a 5.65-inch Full HD+ screen (2160x1080). There is a dual rear-facing camera system (16 MP + 5 MP) and a single 5 MP selfie camera present. The phone also offers technology such as a fingerprint scanner and NFC, but the press release gives scant further details about hardware. The phone will utilize Android 8.1, though. Perhaps the main selling point for the Yandex.Phone is the incorporation of Alice. Yandex claims owners of the smartphone will have access to 34,000 of her handy skills, which will assist users with navigating through the company’s wide range of products (Search, Maps, Music, Taxi, etc.). Yandex is the most popular search engine in Russia, although its lead over Google has dwindled over time. 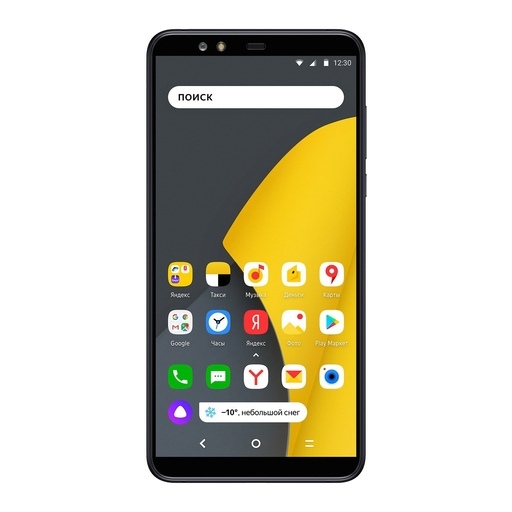 Yandex (NASDAQ:YNDX), a technology company that builds intelligent products and services powered by machine learning, has unveiled its first smartphone, Yandex.Phone. The company’s smartphone is the first phone that is fully powered by Yandex’s intelligent assistant, Alice, the leading AI assistant for the Russian market. Yandex.Phone is also the first phone that comes preinstalled with a suite of mobile services from the Yandex ecosystem. Yandex’s smartphone uses AI to deliver a highly personalised mobile experience based on the users’ location, routine, and their usage pattern. In the morning, for example, Yandex.Phone can provide traffic updates for the daily commute along with turn-by-turn navigation from Yandex.Maps, suggest a personalized Yandex.Music playlist for the journey, or send forecast updates from Yandex.Weather. While mobile users have been able to utilize Alice for Yandex services on other devices, Yandex.Phone is the first smartphone in Russia in which the AI assistant can be used across the majority of apps and services. Regardless of what they’re doing on the phone, users can have Alice manage everyday tasks for them. For example, Alice can add an event to one’s calendar without any interruption while they’re watching a movie or playing a game. Users will also be able to interact with Alice remotely, as the assistant will respond to voice prompts when within range of the user. Yandex.Phone users have access to over 34,000 existing Alice skills to help with tasks such as ordering food, booking flights, and calling a taxi. With the introduction of Yandex.Phone, Alice can now also place voice calls for users. Through the Yandex.Dialogues skills platform, third-party developers have created thousands of skills for Alice, with more being developed every day. The Alice-powered smartphone is also fully integrated with Yandex Business Directory, which provides users with a comprehensive list of businesses across Russia and includes detailed information and search options for goods and services. This feature allows Yandex.Phone to easily identify unknown business callers or contact a business simply by entering the name of a company or a service into the phone’s search function. With the purchase of a Yandex.Phone, owners will receive a free six-month subscription to Yandex.Plus, which provides unlimited access to Yandex.Music and discounts for Yandex.Taxi and Yandex.Drive. Yandex.Phone buyers will also receive a 300 ruble credit for Yandex.Taxi and 500 rubles for their Yandex.Money account, along with 10% cash back on purchases made with Yandex.Money for three months. Yandex.Phone runs Android 8.1 and is powered by a Qualcomm Snapdragon 630 processor. It features a 5.65-inch Full HD+ screen with a 2160x1080 resolution. A fingerprint sensor lets the user unlock their phone with just a touch, while the NFC technology enables contactless payments. The Qualcomm Aqstic audio codec ensures quality sound for gaming and streaming video and music. Yandex.Phone is also equipped with dual rear 16 MP and 5 MP cameras and a 5 MP front camera. Yandex.Phone will cost 17,990 rubles ($270) and will be available on December 6 at the Yandex Store at the company’s headquarters in Moscow. 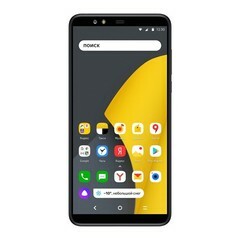 On December 7, Yandex.Phone will be available through Beeline, one of Russia’s leading telecommunications providers, and at M.Video and Eldorado retail electronics stores. Users will also be able to buy the phone on December 7 through Yandex’s new Beru e-commerce marketplace, with free delivery across Russia.